Getting approved for credit cards and loans can be tough for a person who's had past credit issues or even someone who doesn't have any credit at all. Businesses are willing to approve these types of applicants if they have someone co-sign for them. If you get a call from a friend or relative to co-sign for them, be careful. You might think you're just offering up your name to help them get approved for a loan or credit card or apartment. However, you're putting more on the line than just your signature. Your financial future could be at risk when you decide to co-sign for someone else. There's a reason your loved one can't credit approval on his own — because their credit history (or lack thereof) or income indicates they're not responsible enough with credit to qualify alone. Creditors and lenders do a pretty good job of predicting an applicant's likelihood of repaying. If the creditor requires a co-signer, they don't believe your loved one can or will pay on time. Remember, their conclusion is based solely on facts and data about your loved ones spending habits, not about feelings or character assessments. When you co-sign for a loan, the other borrower actually gets the benefit of the loan. They drive the car, live in the house, or use the credit card. You might get a boost to your credit score — assuming all the payments are made on time — but it's not worth the risk. And if you can qualify as a co-signer, your credit score probably doesn't need much help. When you co-sign, you're just as responsible for the debt as if it were yours alone, only you don't get the tangible benefit of what the debt is used for. If your loved one is late on payments, it's just like you were late. The late payment will be reported on your credit report like all your other accounts. It will impact your credit score and your ability to get approved for your own accounts. Worse, it may be months before the creditor notifies you that payments are delinquent, which is too late for you to intervene and save your credit history. The debt you co-signed will increase your debt-to-income ratio, affecting your ability to get approved for your own credit cards and loans. 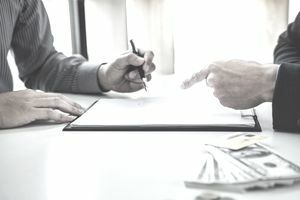 When creditors and lenders consider any application you may for a credit card or loan, they'll consider that co-signed loan just like all your other debts. If the debt makes your debt-to-income ratio too high, your loan applications may be denied. By co-signing, you're accepting responsibility for the payments if your loved one doesn't pay on time. If the payments become delinquent, the creditor or its third-party collector will come after you. You can be sued for the debt and have a judgment entered against you (a judgment is one of the worst entries for your credit report). If your loved one gets the debt discharged in bankruptcy, they'll be let off the hook for it. You, on the other hand, will be solely responsible for repaying the debt or forced to include it in your own bankruptcy. It's not just your credit that could end up damaged if the co-signed arrangement falls through. Think about what will happen to your relationship if the worst happens and the other borrower misses payments and ruins your credit. Or, worse, what will happen if your relationship falls apart before the loan is paid off? You have to tread carefully when you're mixing finances and relationships. You can't get out of a co-signed loan simply because you regret it. Once a contract has been entered, typically the only way to get your name off the account is for the other person to get a new account in his or her own name. This means they'll have to improve their credit enough to qualify on their own. It's possible, but just not as easy as it sounds. If you decide to co-sign with someone, go into it knowing there's a possibility that your name will be attached to the loan until it's paid off. Your loved one probably isn't asking for your signature with the intention of missing payments and hurting your credit; they may not even realize how co-signing will affect you. If you choose to co-sign, you should realize the risk that you're accepting and what could happen if you offer up your signature.